CHARLOTTESVILLE, VA – One thing’s for sure – ‘going green’ is certainly ‘in’ these days. Regardless of your political affiliation or your views on the merits of global climate change theory, it’s safe to say that everyone is concerned about the environment – after all, it’s where we live, and when it comes to golf, it’s where we play. 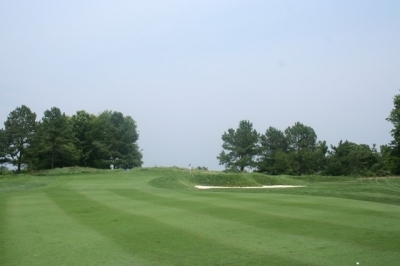 Turning the corner on Birdwood's par five 2nd hole - right from the start you'll grasp Birdwood's player-friendly nature, yet also see the need for precise shot-making. Therefore, it’s refreshing to know that some golf courses are going the extra mile to protect – and even enhance – their environments. 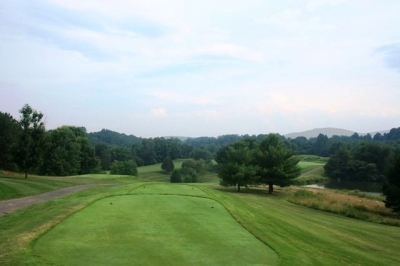 Such is the case for Birdwood Golf Course at the Boar’s Head Inn, which recently retained its certification as an ‘Audubon Cooperative Sanctuary’ by the Audubon Cooperative Sanctuary System (the educational division of Audubon International). 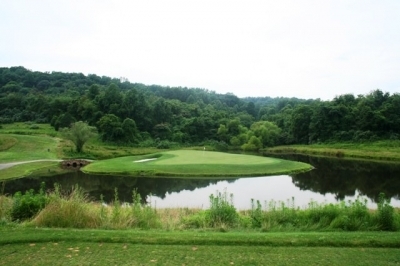 If you’ve played golf in enough places, you’ve no doubt heard of the Audubon certification system, since the courses having earned the designation are more than happy to promote their award – they wear it as a badge of honor (currently there are only 22 in Virginia, and less than 700 worldwide). Contrary to what you might think, visiting a certified sanctuary golf facility doesn’t mean you’ll need to chain yourself to a tree or promise not to take divots – it merely indicates that the course has completed a program in maintaining high environmental care standards. 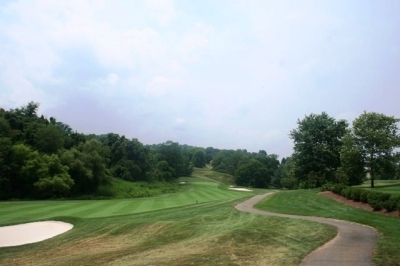 Basically, it means that the folks who run the course are careful about how they maintain the land where the golf course resides – providing habitat for flora and fauna alike. Nearing the green at the par five 17th hole. 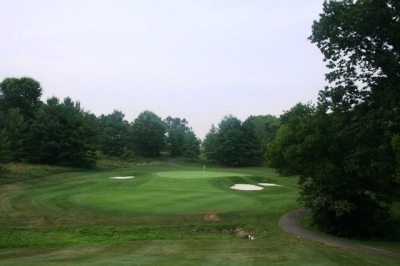 At 573-yards, you'll earn a birdie opportunity if you get one on Birdwood's longest hole. To earn Audubon’s stamp of approval (and re-certification this year), they had to qualify in six areas: Environmental Planning, Wildlife & Habitat Management, Outreach and Education, Chemical Use Reduction and Safety, Water Conservation, and Water Quality Management. Winters was an Environmental Sciences major at the University, so he takes special pride in Birdwood’s Audubon designation. He also is quick to point out that course superintendent Matt Wade deserves a lot of the credit for getting the golf course in ‘shape’ to qualify. Under Wade’s care, Winters said they already were practicing a lot of the requirements (prior to applying for certification), so completing the process was a logical next step. The 366-yard, par four 3rd hole plays uphill the whole way. 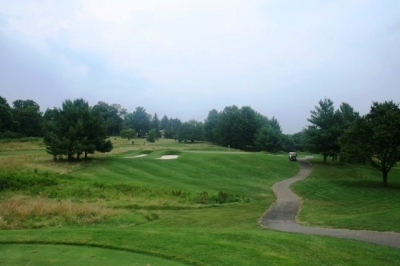 Birdwood was an especially good ‘laboratory’ to work with, since it resides on a very large piece of land (the entire resort is on 573 acres, with the golf course occupying about 200-220 acres) with very few homes – on the back nine, there are no residences, just lots of trees. Winters said there’re about 300 acres at the resort that remain undeveloped – that’s a lot of space for wildlife to dwell. The par three 12th hole's landscaping and natural areas frame a beautiful hole on Birdwood's tranquil back nine. Maybe that’s getting a little too ‘wild,’ but Birdwood’s friendly ‘environment’ would seem to encourage anything wild to make a visit. As Winters alluded to above, a trip around the back nine allows you to pretty much escape from civilization – which is a rare feeling in today’s golfing world. The 205-yard par three 8th hole is the course's #18 handicap hole - but it's still no pushover. “I like to say we’re stewards of the land, and we’ve made a really responsible decision,” Winters added proudly. In addition to Birdwood’s good work on the environment, the course managers have made other improvements since we last visited (in 2004). The most striking change is in the bunkering, which was completely redone three years ago. You'll need good placement off of all of Birdwood's tee boxes, yet never more so than at the challenging par four 11th hole. Lindsay Ervin was Birdwood’s original course designer, but Pete Dye understudy Tim Liddy handled the bunker redo. The goal was to create a more aesthetically pleasing bunker than the course had previously – and then, to create bunker faces that were from the traditional, old-school design in golf. They wanted the bunkers to look like the bunker faces at courses that had been created from many years of play, where bunker sand has been hit out and builds into a bank, slowly over time. Winters said part of the aesthetic goal was accomplished through changing the sand – now the bunkers are filled with beautiful white sand that not only looks superior, it plays better than the rather hard, crusty sand that was there previously. Now, if you’re in one of Birdwood’s bunkers, you’re faced with steeper faces, but you’re also more likely to draw a good lie. Amongst Birdwood's many surprises is the island-green par three 14th hole, surrounded, of course by nature. “Every bunker here changed form in one way or another, with yardage determining where each one should be placed to test the best golfers, but also help the average players avoid them a little easier,” Winters added. The bunker renovation was a seamless transformation from the past to the present. Birdwood’s celebrating its 25th anniversary this year (2009), and the course is every bit as enjoyable and playable as it’s ever been. Winters says he’s seeing more and more alumni visiting, taking a nostalgic look at the layout they remember from their college days. From behind the flag on the par four 6th hole, one of a few where 'civilization' is in view - but it's still a very 'natural' environment. The fact that the course continues to interest players doesn’t hurt. The layout is solid throughout, but the finishing sequence is one of the strongest in the Mid-Atlantic. Starting with the double dogleg par five 15th, you’ll experience those elevation changes that Winters was talking about – and it doesn’t let up until the final putt on the 18th green. Being a member of the UVA golf team has its privileges, including access to this short-game practice area. Winters takes pride in the fact that the course is fair, but it also isn’t a pushover. 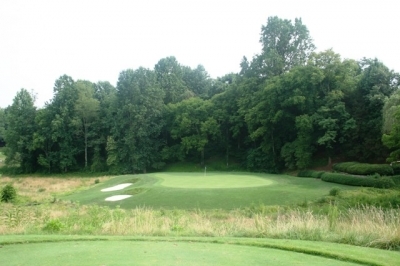 Birdwood hosts the men’s college Cavalier Classic every year, and there have been some pretty notable future pros taking part – David Duvall, Stewart Cink, Steve Marino and James Driscoll to name a few – and no one has absolutely shredded the course. “The scores are always reasonable – several under par wins, not ten or twenty under over the course of three days,” Winters added. The downhill, dogleg right par four 16th hole presents a tough test, but it's one that you'll actually enjoy trying to pass. “And I think the Birdwood operation, the fact that we’re an Audubon certified cooperative sanctuary, it’s a big component of the ‘fun’ involved. I think most people today realize the importance of conservation and maintenance, and we make decisions in our everyday lives that will help protect our planet for our kids and grandkids for years to come,” Winters concluded. 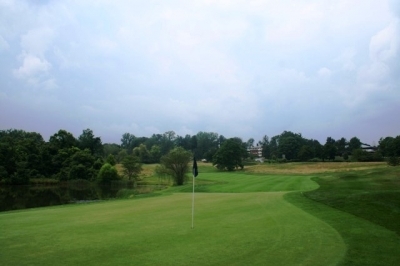 It’s hard to argue with Winters’ reasoning – or with the experience at Birdwood, which is a shining example of how prudent environmental stewardship doesn’t necessarily have to be arduous, controversial or involuntary. 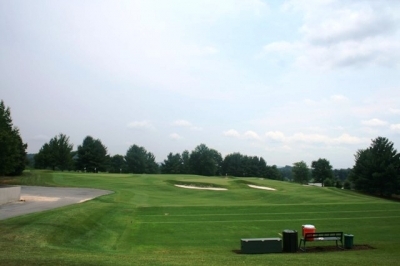 Birdwood Golf Course shares its resort property with the highly rated Boar’s Head Inn, which provides a first-class experience in and of itself – and it’s highly recommended. 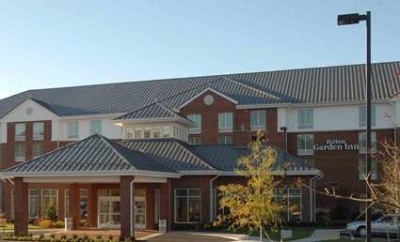 On our most recent trip we stayed at the nearby Hilton Garden Inn, which offers yet another fine alternative for golfers visiting the Charlottesville area. The Hilton Garden Inn offers spacious rooms with one king or two queen beds, a 32” high definition flat tube television, a Mirra desk chair by Herman Miller, a clock radio with jack for a portable music player, a refrigerator, a coffee maker, a microwave, a hair dryer, an iron and an ironing board. In other words, it’ll save you time in your trip preparation – and once you get there, you won’t have to worry about very much. Being a relatively new hotel property, the Hilton Garden Inn also offers complimentary high-speed internet, a complimentary 24-hour business center (if you’re traveling during the week), a 24-hour pavilion pantry stocked with snacks, drinks and everything you forgot. Our kids also enjoyed the indoor pool, and there’s a workout room in case you didn’t expend enough energy out on the golf course. All in all, a very nice place to take a break at the end of an exciting day out on the links. Until November 30, 2009, greens fees M-Th are $50. Fri-Sun: $62. Carts are $18. After 3:30, it’s $33, plus the cart if you want it (check the website for current twilight starting times). December 1 through March 12th, 2010, M-Th it’s $25, weekend it’s $39. So, December 1st, it’s $57 with a cart on the weekends and $43 on the weekdays. April through October, carts are required Friday, Saturday, Sunday and holidays before noon. Range – Range balls available for purchase. Two chipping greens and two putting greens, no charge. 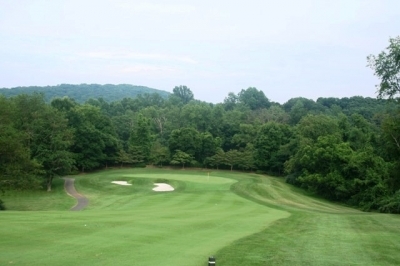 Note: Birdwood recently received a rating of 4 ½ (out of five) stars by Golf Digest, which is some indication of the quality of the golf course.